Add a touch of flair to your outfit with a personalised bar necklace! The sleek, modern shape of the bar make it perfect for everyday wear, while the options for customisation turn it into something special. Commemorate the people you love most by adding their birthstones for a stunning family necklace, or engrave a powerful word to wear with pride. Our large selection of styles and sizes make it easy to find one that is just right for you or someone special! Like all of our jewellery, enjoy creating your piece with Sterling Silver, or 9k and14k white, yellow and rose gold. 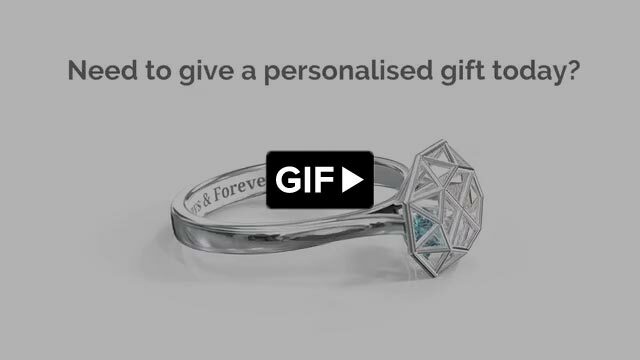 Add genuine or simulated birthstones for some sparkle, and a one-of-a-kind engraving. Our necklaces make the perfect gift for mums to celebrate the new additions to families, or to congratulate someone on their birthday, graduation or any other special occasion. Create your own unique bar necklace today to treasure always!